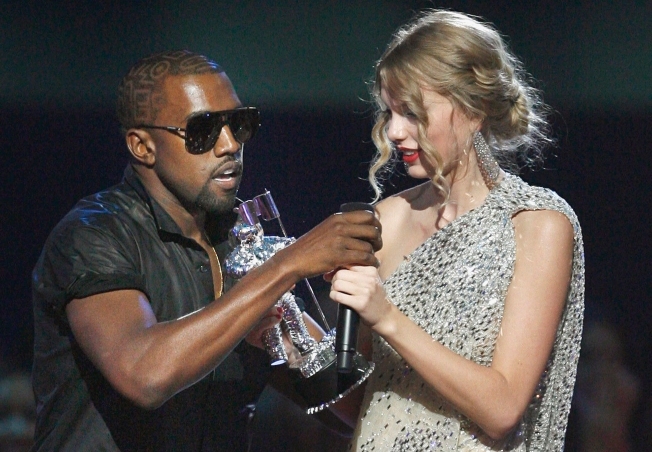 Kanye has a present for Taylor Swift. The "Power" rapper took to the Twitter wire to announce a new song he penned especially for the country-singing sweetheart he dissed last year at the MTV Video Music Awards. "I wrote a song for Taylor Swift that's so beautiful and I want her to have it," Kanye tweeted, US Weekly reported. "If she won't take it then I'll perform it for her." The manic rapper noted for overblown opinionating claimed that Taylor was unfortunate collateral damage in his anti-award show offensive. 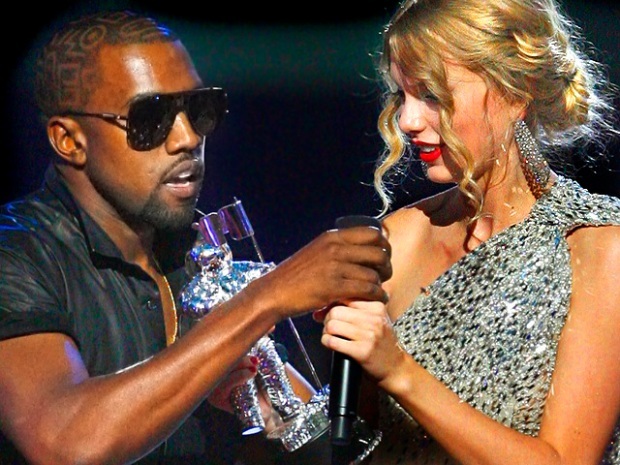 "She had nothing to do with my issues with award shows," Ye' said. "She had no idea what hit her." The apology comes the same week that Black Crowes' front man Chris Robinson smacked Swift down in Nylon for Guys magazine. This year's VMA hostess Chelsea Handler has vowed to reunite West and Swift somehow in the broadcast. Kanye let loose a long stream of Twittering on Saturday, concluding with a vow to turn over a new leaf. 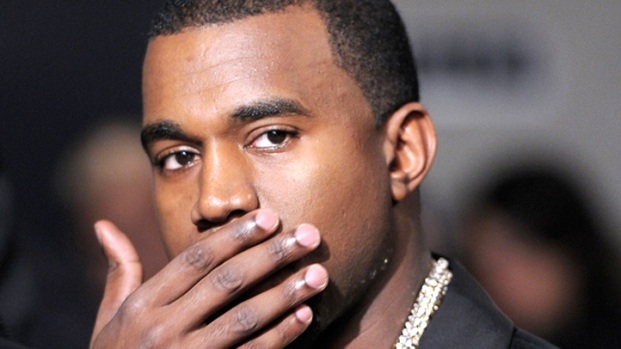 "When I woke up from the crazy nightmare, I looked into the mirror and said "GROW UP KANYE," Kanye wrote, MTV reported. "Yes I was that guy. A 32 year old child."